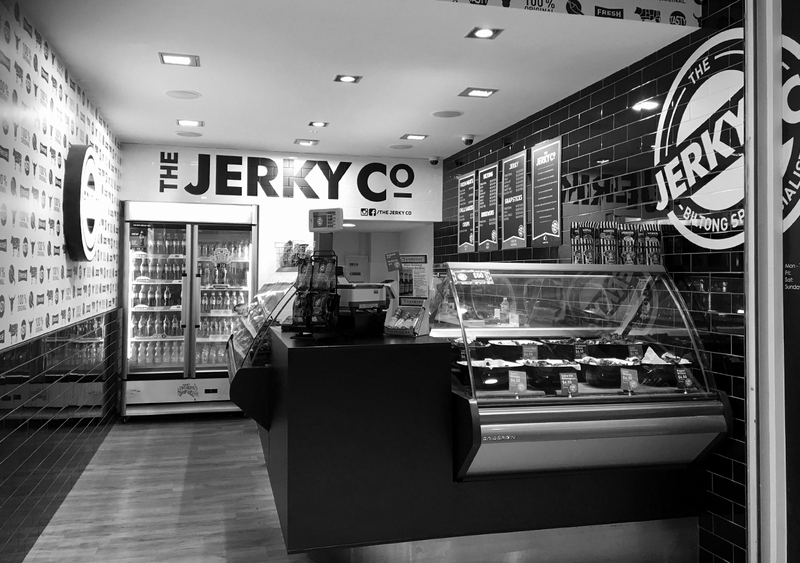 The Jerky Co is a unique business that sells fresh premium air dried meats online and in retail outlets across Perth. 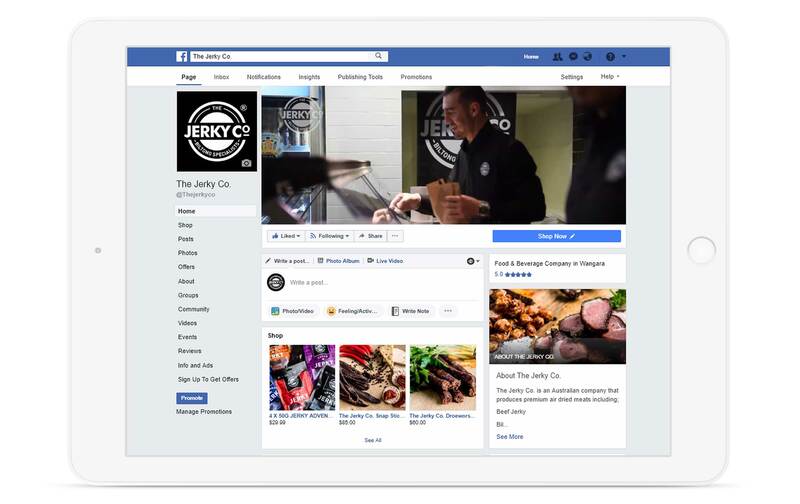 We have worked together from the initial logo concept to now managing their marketing campaigns, social media accounts and eCommerce store which sells products Australia wide. 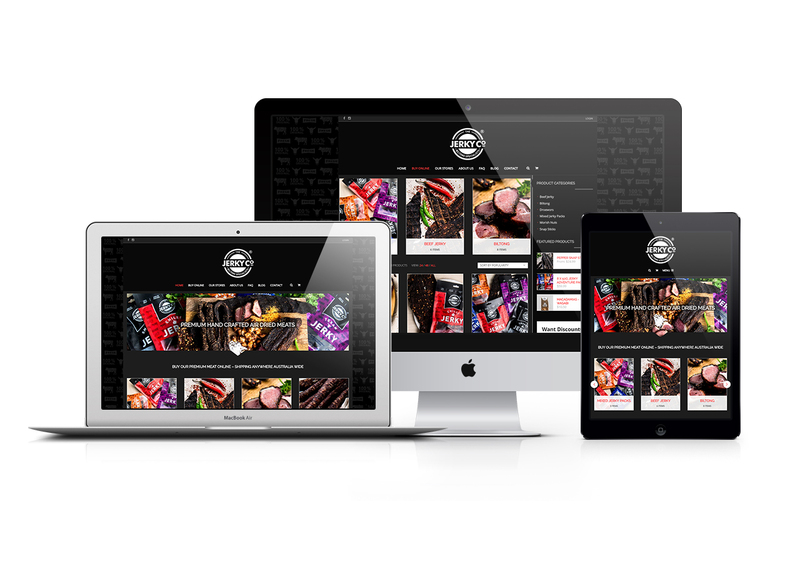 We also provide graphic design services which includes the updating of packaging, stationery and any store promotional materials. 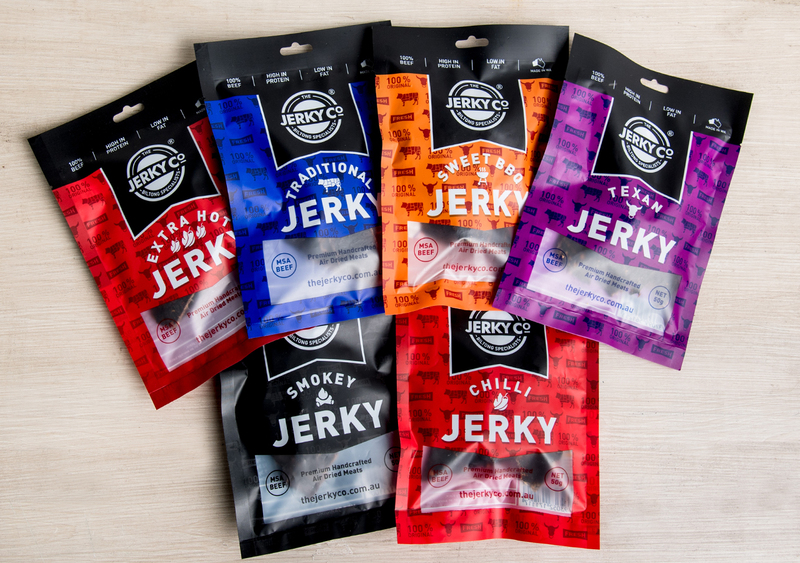 We are not going to lie, it does have its tasty perks… especially when we receive the packages we designed for taste testing.  © 2018 The Brand Hub, All Rights Reserved.